I'm volunteering at this show. You should go, it will be a lot of fun! 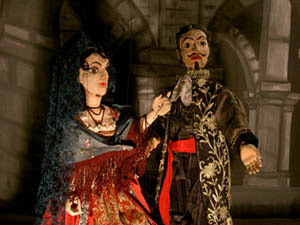 The Carter Family Marionettes are joined by an ensemble of outstanding musicians and singers for this unique production of "Don Giovanni". Tickets going steadily. Please arrange for your tickets soon. Order by mail with check or by phone with visa/mastercard. Please call or email for more details or if you have any questions.